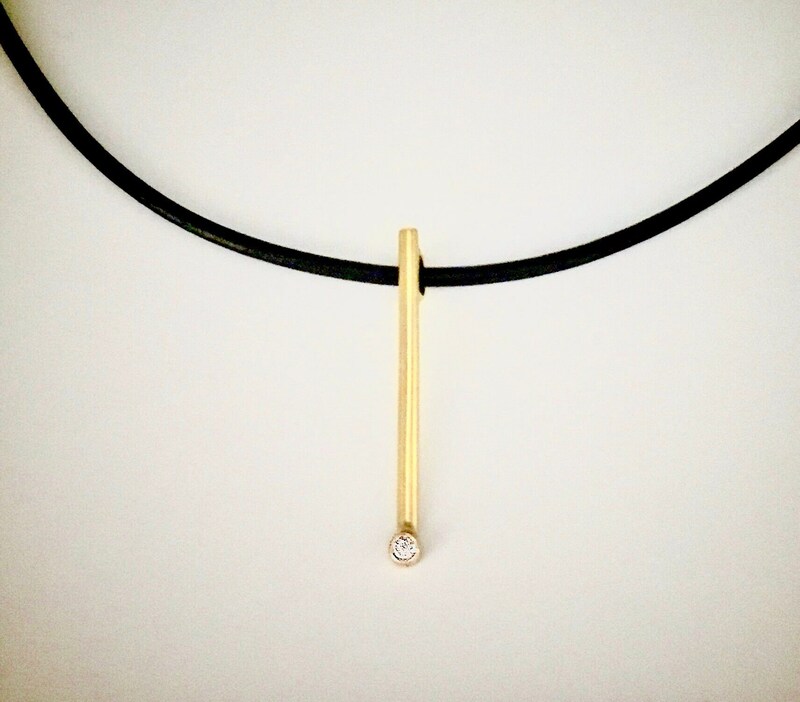 Minimalist design 14K yellow gold and Diamond necklace features a .05 carat natural Diamond bezel-set at the end of a straight, 33 mm long half-round pendant. Pendant has a enlarged bail in the back to accommodate a heavier neck cord or chain. Comes with an 18” black leather neck cord with 14k gold fill clasp. All gold has high polish finish.